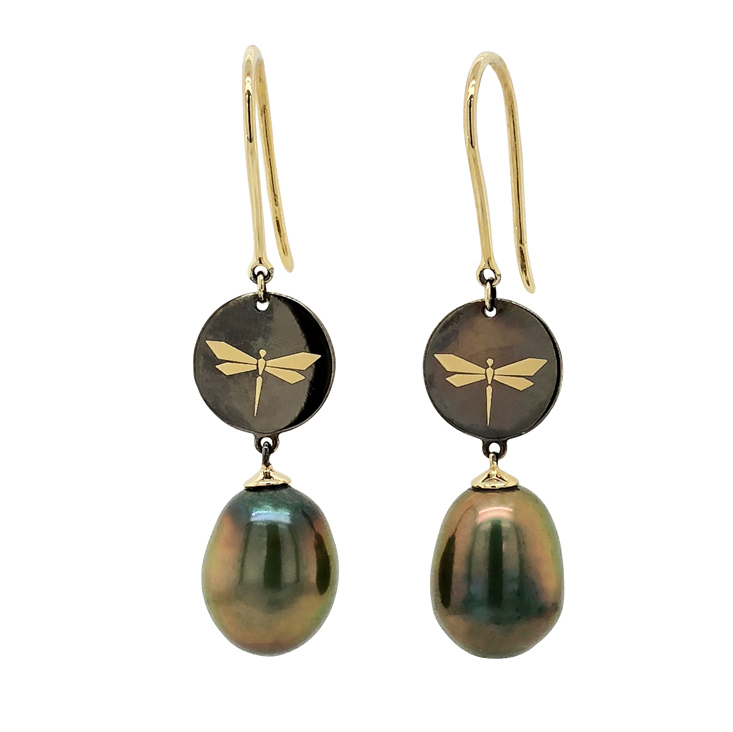 These 9 carat yellow gold Iconic Earrings combine timelessness of black pearls with modern design. The sophisticated black rhodium plated Dragonfly logo is the statement-making detail that gives an eye- catching radiance. 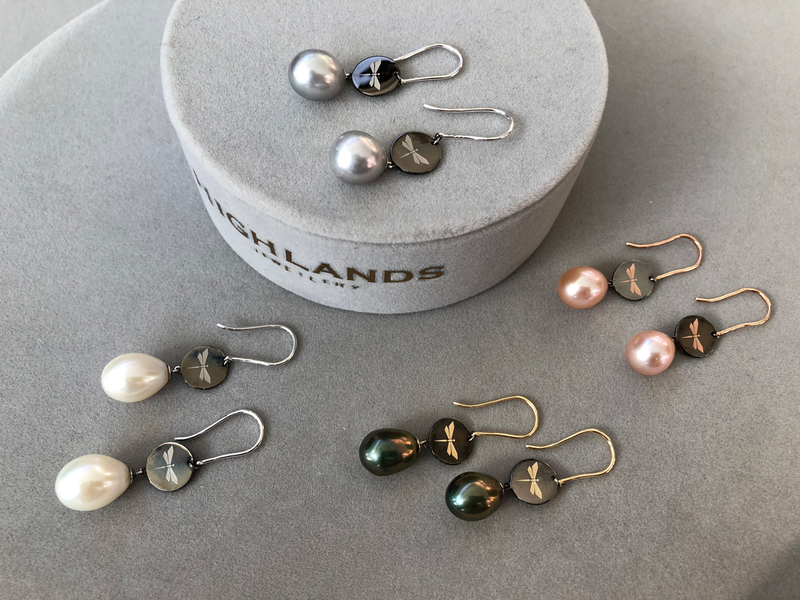 Pearls are organic gems, created when an oyster covers a foreign object with beautiful layers of nacre.